Evesham based Walsh Mushrooms are launching a Vitamin D enriched mushroom following a £250,000 investment in a two-year project which has been granted Novel Food Status (Regulation (EC) No. 258/97). The mushrooms, which are enriched with a controlled light, will provide a rich source (>30% DRI) of Vitamin D of ≤10μg per100g. Public Health England (PHE) recommend children from the age of one year and adults need 10μg of Vitamin D a day. This could be provided by 3-4 mushrooms. Vitamin D is important as it helps regulate the amount of calcium and phosphate in the body and these nutrients are needed to keep bones, teeth and muscles healthy. Between October and early March we don't get enough Vitamin D from sunlight. Mushrooms are very similar to people in that they convert light into Vitamin D, and none is lost through cooking. Padraic O’Leary, Managing Director, commented that it is “important to continue to develop and add to the health benefits of mushrooms which, in turn, will help bring in new customers into the category. With Northern Europe not having adequate levels of sun light to produce Vitamin D during the winter months this is an inexpensive and natural way to improve your intake”. 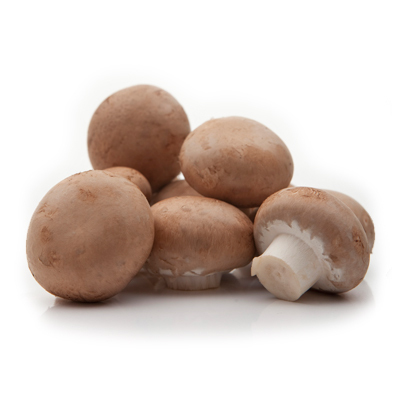 The Vitamin D mushrooms will be available in selected Aldi stores in the Midlands from early October.